Saudi Arabia was hit by three suicide bomb attacks over a 24-hour period on 4 July - in Jeddah, Qatif and Medina. Two people, believed to be policemen, were wounded in the first attack in Jeddah, when a suicide bomber detonated near a US diplomatic site. The Saudi Interior Ministry has identified the Jeddah bomber as Pakistani national Abdullah Qlazar Khan. 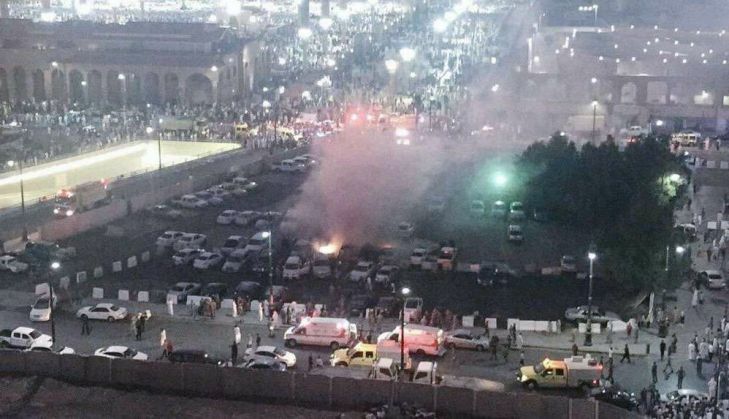 No casualties were reported in a second suicide blast near a Shiite mosque in Qatif. The deadliest blast occurred in Medina, where four people were killed and another injured. The attack took place late on 4 July when thousands of people were about to offer their prayers in the mosque where Prophet Muhammad is buried in Medina. The attack occurred in the parking lot of the sprawling mosque complex. Egypt's Foreign Ministry has said that the attack during the holy month of Ramazan near one of Islam's most sacred places confirms that terrorism "knows no religion or belief or any meaning of humanity". The secretary general of the 57-nation Organisation of Islamic Cooperation, which is headquartered in Saudi Arabia, said that the attacks were an attempt to destabilise the Kingdom. World leaders, including a number of Indian politicians have condemned the attack, which come just days before Eid. No group has claimed the responsibility for the blasts.